Life Jackets for adults stowed in the boat. Clean full size step down restroom. Two fenders (rubber bumpers) when you go dine to your favourite restaurant. Plenty of lines (ropes) to tie up the boat. Of course after all the safety comes comfort and looks. All our vessels have soft leather cushions and six speaker Stereo system with satellite XM radio and Aux-port or Blue Tooth for your Audio. 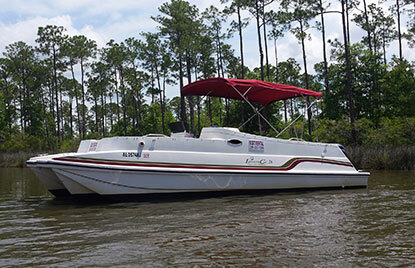 Travel in comfort and style in a 36’ Cape Horn, 700 HP reaching speeds up to 50 MPH, 29 speaker Dual Amplifier stereo system, roomy bathroom with Vacuum-Flush toilet, vessel comes with a knowledgeable pilot. $1800 per 8 hour day (price includes first 50 gall of fuel, additional fuel charge may apply). Private company outings and Bachelor/ette parties welcome. 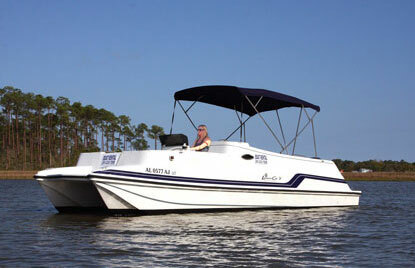 You can customize or combine different activities, from overnight camping to grilling-out on the islands. The ONLY thing you need to do is call us in advance for reservations.